Rehearsals take place September through May in the Choir Room located in the basement of First United Methodist Church, 227 Fulton St. The GCA will never turn a family away due to financial circumstance. 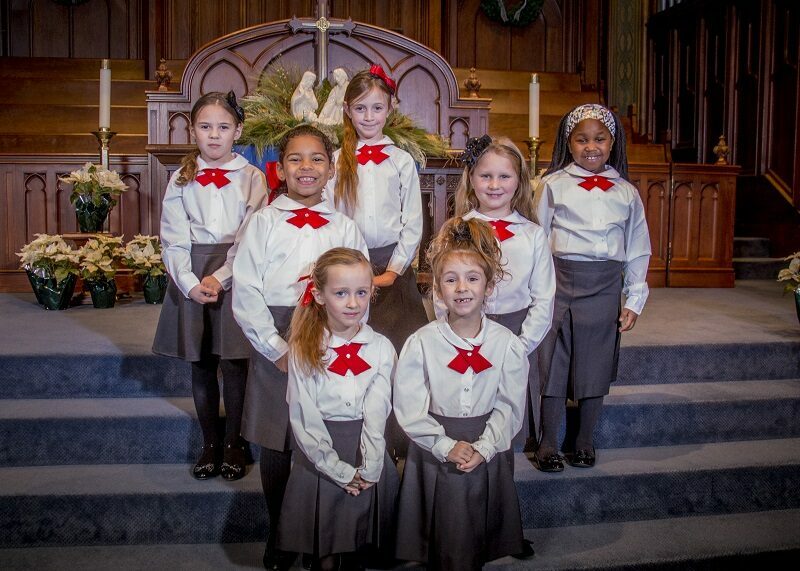 Kinder Choir is held on Tuesdays from 4:45-5:30 PM and includes girls in Pre-K through 1st grade (ages 4+). This is a beginning music class and is directed by Mary Klaasen. Tuition for Kinder Choir is $38 per month across nine months, which includes our red GCA performance t-shirt. Junior Academy is held on Tuesdays from 5:40-6:40 PM and includes advanced 1st graders as well as 2nd and 3rd graders. Repertoire includes a wide variety of genres, including classical, folk, secular, and multicultural. This group is directed by Mary Klaasen. Tuition for Junior Academy is $48 per month across nine months, which includes Fall Camp and our red GCA performance t-shirt. Senior Academy is held on Mondays from 5:40-7:00 PM and includes advanced 3rd graders as well as 4th & 5th graders. This group is directed by Lori Tennenhouse. Tuition for Senior Academy is $60 per month across nine months, which includes Fall Camp and our red GCA performance t-shirt. 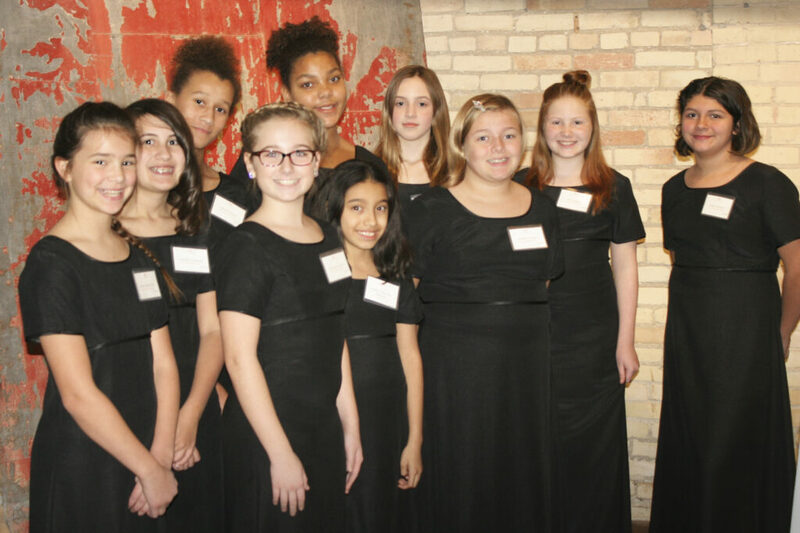 Chamber Choir is held on Tuesdays from 6:45-8:15 PM and includes 6th and 7th graders. Emphasis is placed on performing a wide variety of literature from many genres in two and three parts. This group is directed by Lori Tennenhouse. All instruction is held in a demanding but positive atmosphere. Choir members are invited to take risks and enjoy successes. Tuition for Chamber Choir is $60 per month across nine months, which includes Fall Camp and our red GCA performance t-shirt. Concert Choir is held on Mondays from 7:00-8:30 PM and includes 8th through 12th graders who demonstrate good vocal technique and music reading skills. Emphasis is placed on performing a wide variety of literature from various genres in multiple parts. This group is directed by Lori Tennenhouse. Tuition for Concert Choir is $60 per month across nine months, which includes Fall Camp and our red GCA performance t-shirt.